What better way to celebrate spring than with some natural muzzle art, courtesy a very adorable, bunny loving Tinker? 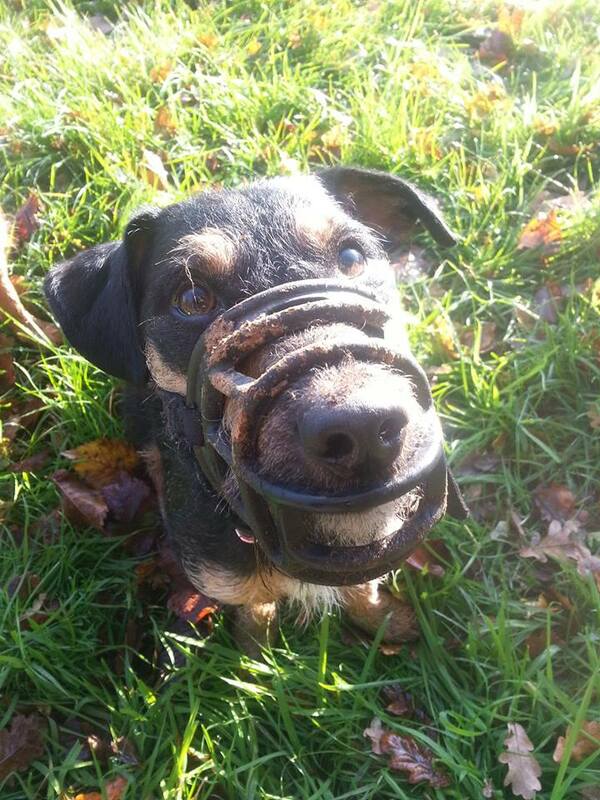 I am wondering whether the muzzle in the above photo is fitted correctly. I thought there was supposed to be a cm or so between the end of the nose and the end of the muzzle? I am trying to fit my border collie for a muzzle so I a concerned about proper sizing.